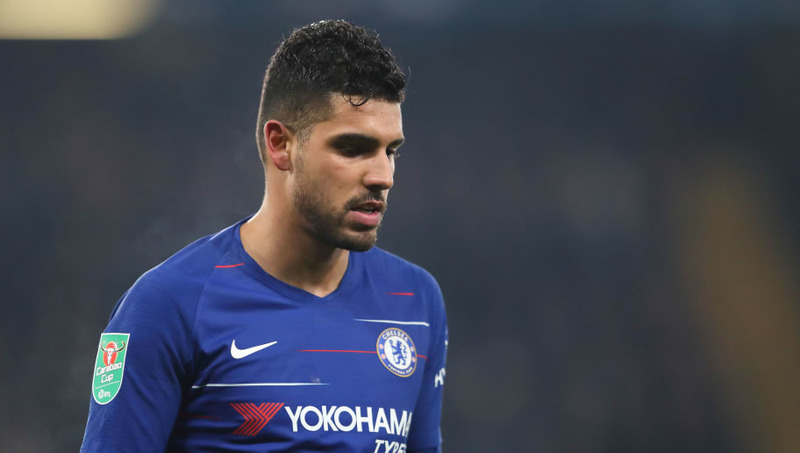 Chelsea boss Maurizio Sarri had ruled out January sale of Emerson Palmieri​, despite reported interest from Serie A giants Juventus. Emerson put in a fine display to help his side beat Tottenham Hotspur in the Carabao Cup semi-final on Thursday evening - seizing his chance to replace Marcos Alonso at left-back and making a solid argument for playing more regularly. Speaking after the big ​London derby win, via ​Chelsea's official Twitter page, Sarri said: "Emerson will stay with us for sure. Emerson for us is very important. He is improving. Sometimes I have a little problem to put him in the starting XI because we're not a very physical team." Meanwhile, fellow peripheral figure Victor Moses has joined Fenerbahce on an 18-month loan deal after struggling to break into the Blues' starting XI this season under Maurizio Sarri. Moses joined the Blues from Wigan Athletic in 2012, but initially struggled for first team football, and was loaned out to the likes of Liverpool, Stoke City and West Ham over a three season period. Under Antonio Conte, Moses flourished for Chelsea in the wing-back position, but the switch to a traditional back four under Sarri has seen the Nigerian fade into the shadows. A loan move away from Stamford Bridge could well rejuvenate the 28-year-old's career, though he is unlikely to be a regular starter for the Blues again while the former Napoli boss is at the helm. Fenerbahçe have had a dismal league campaign thus far, and could certainly benefit from a player of Moses' experience as they look to move up from 15th in the Süper Lig table.